Hike in the Ojito Wilderness on Saturday, March 12. 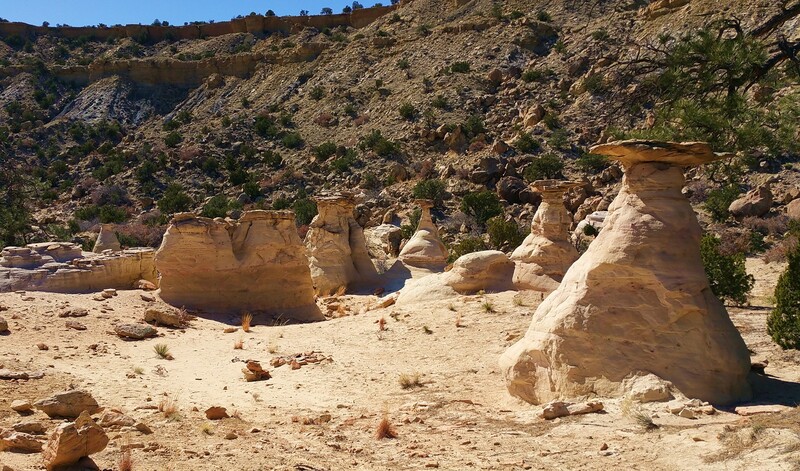 A trail winds through hoodoos, rock striations, colorful soil deposits and New Mexico vistas. On the return, cross over to a mesa with stone steps to reach the top. Hike over dirt and smooth rock to reach more evidence of wind and water erosion with intriguing rock forms. Approximately 4 miles of hiking; 4 hours duration. Sack lunch. Hiking boots, hats, weather protection, water.